Do you know when the best time to sell your company is? If you can’t answer this question, you’re not alone. Ask five entrepreneurs, and you’ll hear ten different answers. I should know. I was the kid who started his business out of school with no money, experience, or team. Despite the odds, I had a 9-figure exit, thirteen years later. I rejected the first offer to buy my business. The offer came dressed up as a wolf in sheep’s clothing. It was a blessing in disguise. The offer was from an experienced buyer who realized that I didn’t know what I didn’t know. The buyer was right, and his offer reflected my ignorance. On the spot, I made it my mission to know and dedicate myself to learning and mastering how to sell my company. After much of the proverbial blood, sweat, and tears, I discovered five key insights that enabled me to dominate and win. It is these same five insights that revealed to me the best time to sell your company. You’ve worked too long and hard and have sacrificed too much to sell and walk away from your hidden wealth. But that’s exactly what happens to most entrepreneurs. What are the five insights, you ask, that let you know the best time to sell your company? The best time to sell your company is when your passion is gone, gone, gone. You started your company from passion. Your passion got you out of bed, every day, to slay those dragons. When you failed, your passion had you back at it the next day. And the day after that. You stuck it out. It wasn’t easy. You soon had customers and a few employees. And with more customers and employees, your problems began to multiply. The daily avalanche of problems has entrepreneurs forget why they started a business. Boredom and burnout set in. Like a thief in the night, problems rob you of your passion. In place of your passion, you have exhaustion. With this in mind, do you become an empire builder or exit the business?. The smart money is on the former. Do what an empire builder does. Become richer and happier by having your company run without you. Hire a CEO and build out your management team. Will building out a team take time? But it’s worth it. With your team in place, you’ll have a healthier company that is more scalable and profitable. Now the best time to sell your company. You’ll receive more money because your company runs without you. The best time to sell your company is when your business model threatens to put you out of business. If you’re in this situation, know two things. First, welcome this situation as an opportunity. Second, recognize that this may not be the best time to sell your company. Change your life and your destiny when you optimize your business model. A per student flat fee. When I realized that revenue sharing was the only way to go, it was unheard of in the industry. Good thing nobody told me this was the case. Yes, ignorance can be bliss. What made the schools change? I solved a painful problem for the schools AND took all the risk. Besides keeping the seats filled, I now filled the seats with students. Many students. And all on my dime. Schools were profitable from the first student onwards. If I couldn’t fill the seats, the schools paid nothing. Over time, I recouped my expenses and became profitable. In the process, we created a bigger market and a win-win-win. If you find yourself on the wrong side of the business model, change it. If you can’t or won’t, this may be the best time to sell your company. But know that you’ll sell your company at a significant discount. The best time to sell your company is when your story changes. Since starting your company, you’re now older and wiser. You may have started your company single and now find yourself blessed with a family. You likely started with no customers and now find yourself with many customers. And these customers place demands on both your time and energy. Perhaps you have the golden handcuffs with your wealth locked up in your business. My fellow founder and dear reader, you’re now at the proverbial fork in the road. Want to retire rich and happy? Know you’re the author of your story. Choose wisely. Most entrepreneurs I speak with are a mere inches away from gold and don’t even know it. Years, or even decades, of working in the business has taken its toll. Passion, drive, and innovation are a distant memory. What can you do to realize your destiny and retire rich and happy? Change and create a company culture that you need to achieve massive success. Assemble a team around you to work in your company so you can work on your company. Do this, and you’re well on your way to creating an optimal time to sell your company for the greatest value. Still not up to it? You started your company from your passion and belief. Should your passion be all but a distant memory, and there’s no hope to rekindle it, it’s time. This is your story, and it may well be the time to close this life chapter. Indeed, this too may be the best time to sell your company. The best time to sell your company is when the market peaks. For all you sports fans, what do Bjorn Borg, Michael Jordan, and Mark Spitz all have in common? These all-star athletes exited at the top of their game and never looked back. Like the all-star athletes, don’t lose sight of market conditions. Ask the now out-of-business video rental stores and local internet service providers. The smart owners sold their companies at the peak of the market. My EdTech went on to achieve the highest of highs when I changed the business model. But even this did not prevent me from selling my EdTech. I sold my EdTech at the peak of the market in June 2007.
Who knew that a mere three weeks later, the great recession would start?. When preparation meets opportunity, wonderful things happen. I prepared my company to sell, and the market timing was right. 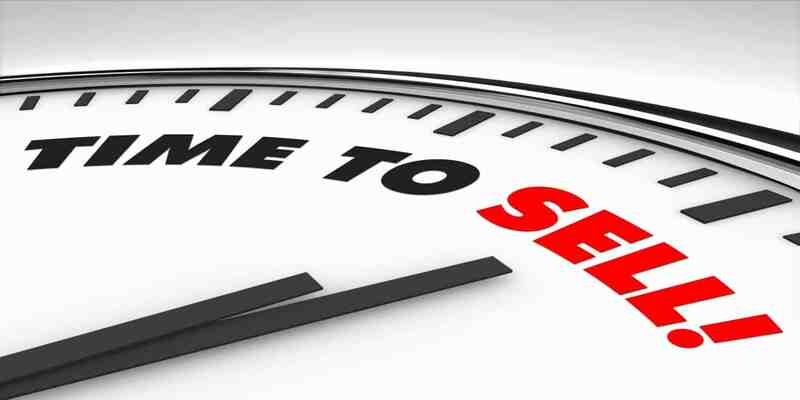 The besting time to sell your company is when you’re ready. And when you’re ready, you choose the time. Had I waited for a ‘little longer,’ I would have to wait for another seven to ten years for the market to recover. The smart money knows that the best time to sell your company is at the top of your market. The Truth (with a capital ‘T’) is that there is no perfect time. When it comes to selling your company, never look back. Only forward. Neither market conditions nor yourself are ever perfect. Your reward, my dear reader, is not the end. Instead, it’s the journey. Your journey is rich with magic moments, wisdom, and accomplishment. Looking for your riches? Your journey is your reward. Enjoy every moment, even the challenging ones. From entrepreneur to founder, to selling my business, I’ve done the full circuit. And now I know, and so should you. Preparing your company to sell is the best thing you’ll ever do. Even if you never sell your company. Your culture and best practices create a stronger and more profitable company. Sell today, or keep your company forever. But when you’re ready and prepared you have options. You’re ready to sell when opportunity knocks. You’ve already assembled your exit team, you have a due diligence mindset, and you’re raring to go. You choose the best time to sell your company. Now enjoy the moment because this is all any of us ever have. What is the best time to sell your company? But the answer is anything but simple. Most entrepreneurs take the first offer that comes their way. The first offer I received for my EdTech was a 7-figure offer based on 3 times EBITDA. The best time to sell your company is when you’re prepared and you know it’s time. In my case, I was neither prepared nor ready to sell. I’m glad I followed my instincts. Saying ‘no’ to the first offer launched me on a quest to master the art of a sale. I spoke with ultra-successful entrepreneurs, founders, sellers, buyers, and advisors. Knowing what not to do is as important as knowing what to do. With this in mind, I spoke with anyone and everyone who had regrets on the sale of their company or failed at it. What I learned was a shock and forever transformed me to dominate and win. Less than two years later I sold my company for 9-figures based on 13 times EBITDA. Knowing the best time to sell your company made all the difference for me. And it should for you. The great news is that I’ve done the heavy lifting for you. In this article, I’ve shared five key indicators based on my in-the-trenches experiences. Don’t confuse your boredom and lack of energy as being the best time to sell your company. Take a step back and reposition yourself to win. Start with each key indicator, learn it, master it, and apply it. Once you’re done, move on to the next one. Your life. Your story. Make the most of it. Know that everything you need to succeed you already have within you. You can do it.